The Wabash County Council approved the adoption of its 2017 budget Monday night, Sept. 26. In a 6-1 vote, the Council adopted the budget as it was approved of on Sept. 12 at $8,365,918. Chairman Mike Ridenour was the lone vote against the adoption. 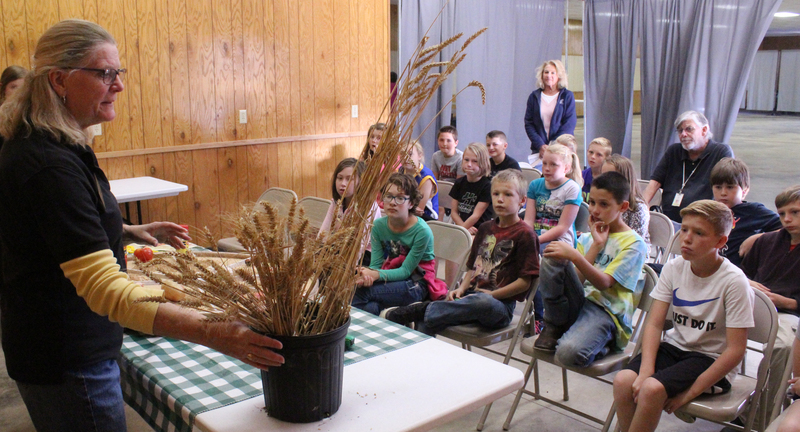 Fourth graders from around Wabash County learned about agriculture during the Wabash County Farm Bureau’s annual Ag Day. The youngsters traveled to the Wabash County Fair Ground where they were broken into groups to travel from demonstration to demonstration, spending 12 minutes at each exhibit. “It’s very important for fourth graders in Wabash County to learn about agriculture, number one. It’s 50 percent of our economy in Wabash County,” Wabash County Farm Bureau president Mark York said. “Number 2, it’s important to learn where their food comes from." Josh Turner, a multi-platinum MCA Nashville country music artist, is no stranger to Wabash’s Honeywell Center Ford Theater and is looking forward to his return on Friday, Oct. 7. “I don’t know how many times I’ve been to Wabash. I’ve lost count I guess, but I always love coming to the Honeywell Center,” Turner told The Paper of Wabash County. “It’s always just a nice venue, great country music crowd and a fun, little town. Wabash resident Donald Collins is a hero. 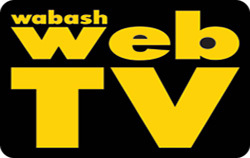 On Sunday morning, Sept. 25, Collins, a Wabash WebTv cameraman and Midwest Eye Lens Source lab technician, was returning to Wabash from a good day of raccoon hunting at a competition in Andrews when he happened across a terrifying scene, a single-vehicle accident wherein the vehicle caught fire. 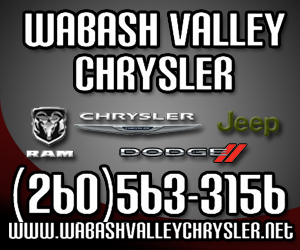 “I was heading home and I live on the county line of Wabash and Peru,” Collins, 27, told The Paper of Wabash County. “It was 2 a.m. … I’m very familiar with the area. I passed Falls Avenue and I saw a glow and I thought the pallet factory was on fire and, the closer I got, when I hit Stitt Street I knew it wasn’t the pallet factory. The closer I got, the worse it was. The Economic Development Group of Wabash County is one step closer to applying for part of a $250,000 grant. The Wabash County Commissioners had the second public hearing for the Community Development Block Grant at their Oct. 3 meeting. “This is the public hearing we’re required to have prior to the submission of the full application,” Lori Shipman, of Lori Shipman Consulting, LLC, said. The application is due in Indianapolis next Friday. In a 2-0 vote on Thursday, Sept. 29, the Lagro Township Board approved the 2017 budget, but not without resilience. Board members Deb Schenkel and Rob Cole adopted the budget at $392,900 after it was trimmed of more than $43,000 from its original proposal of $436,300. Board member Lee Ann Pefley was absent from the meeting. However, before the vote, Lagro citizen and past Township Board member Ralph Ranck voiced his concerns about adopting the budget, which had increased more than $75,000 since 2016. Wabash County schools received their preliminary student Average Day Membership (ADM) counts Friday, Sept. 16, and one district reported a drop in numbers. Wabash City Schools (WCS) and Manchester Community Schools (MSC) both experienced an increase among their student populations while MSD of Wabash County reported a decline compared to last year’s numbers. MSD reported 2,045 enrolled students on Friday, a loss of 92 students compared to last year’s preliminary count of 2,137, according to MSD Superintendent Mike Keaffaber. Meanwhile, WCS gained 79 students and MCS gained 10 students compared to last year’s counts, according to superintendents Jason Callahan and Dr. Bill Reichhart respectively. In just three weeks, dozens of teams will stir things up at Paradise Spring Historical Park at the 14th annual Wabash Cannonball Chili for Charity Chili Cook Off. On Oct. 15, chili lovers and connoisseurs will have another opportunity to taste a variety of recipes that include chicken, beef or exotic meats and range anywhere from white to green to black bean. Although the festivities draw the masses, the event’s purpose is to assist local organizations continue to serve Wabash County. In just 13 years, Chili for Charity has raised and donated more than $430,000 to charity, according to Marc Shelley, Chili Planning Committee member. Each year, several organizations are chosen to receive a portion of the event’s raised funds. This year, 10 organizations, including the Lagro Park Board, Best of the Best and Blessings in a Backpack, were selected as fund recipients.